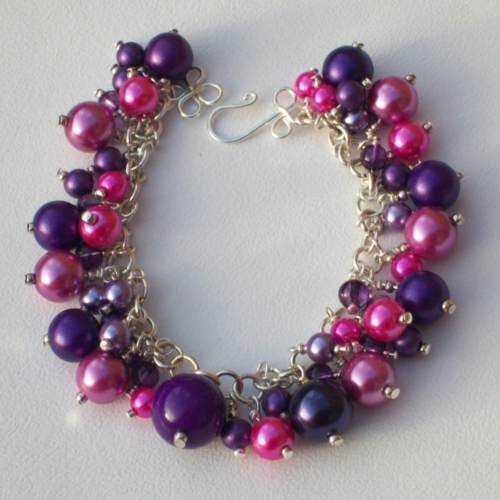 Masses of pearls and glass beads in delicious shades of pink, violet, lilac and purple, in varying size, hung around a handmade chain. 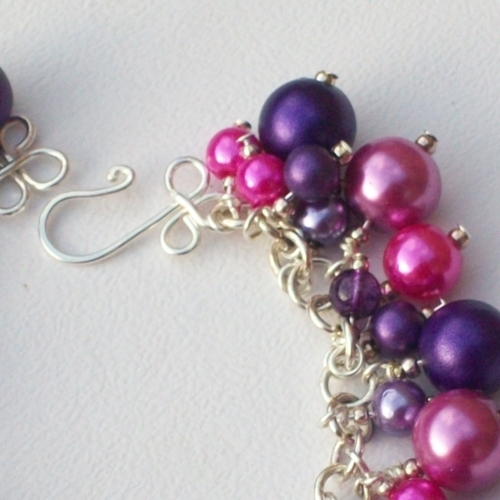 Each is hung by a wire wrapped headpin and detailed with a small silver plated bead either side. Finished with a handcrafted hammered hook clasp. 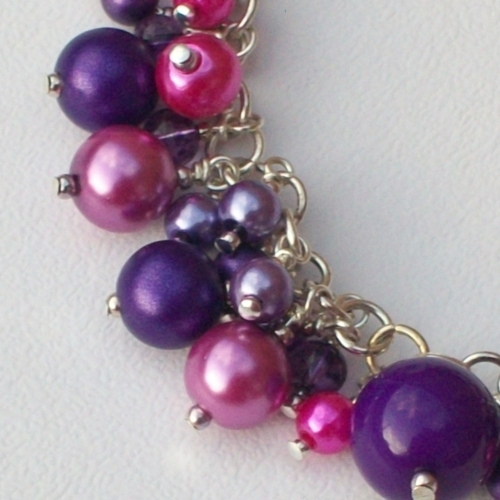 Measures 7.5" in length, including clasp. 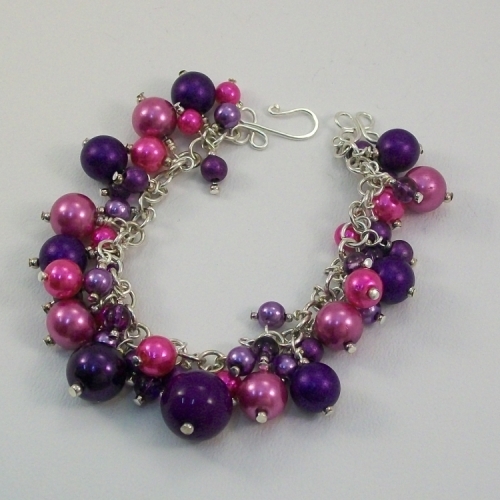 Made from silver plated findings, anti-tarnish silver plated wire and acrylic pearls. Nickel free.